Who are we? Why are we here? 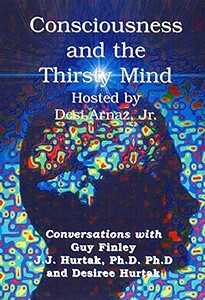 Desi Arnaz, Jr. hosts a discussion with Guy Finley of Life of Learning Foundation and Dr. J.J. and Desiree Hurtak, seeking ‘ through a dialog on consciousness awareness and exploration ‘ to discover meaningful answers to these and other questions about our true and higher purpose in life.